“I love you”. Three simple words that – as the saying goes – makes the world go around. And quite literally so! This year the US Economy received a boost of $18.9 Billion with Valentines Day sales, less than 2014’s Christmas sales but more than 2014’s Mothers Day sales. Love does makes the world go around, and no-where is it on greater display than at a wedding, where two people make vows of love to each other. The essence of the familiar marriage vow is a promise “to love and to cherish, to have and to hold from this day forward, until death do us part”. The wedding vow is a promise of companionship in love. So frequently while conducting wedding ceremonies I have two questions I silently wonder “do you know what you are letting yourself into?” and “do you know what you are promising – do you know what love is?” Because marriage, as in every other relationship, only flourishes when love true. The word love occurs in various forms in some 290 times in the New Testament, and is thus a major Biblical theme – for obvious reasons. We read that “God is love” and that he “so loved the world that he gave his Son” and we should emulate him so that we “walk in love”, meaning “love one another” and “love your enemies” – ultimately Christians should be “known by our love”. Yet many times our definition of love is informed by contemporary culture, powerfully influenced through music, movies and novels, and the power of love is missing from our lives. Paul teaches that love begins with compassion – a deep feeling of identification with the person and his or her circumstance. 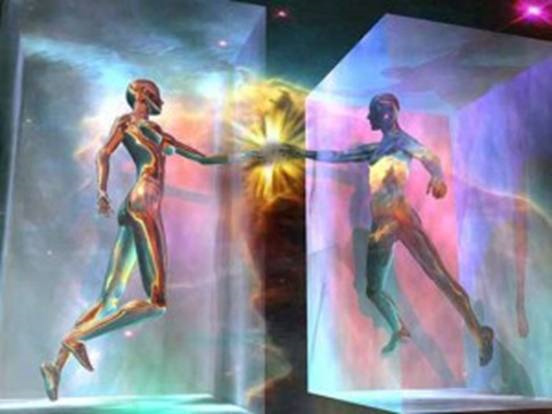 This is the place where real love starts, as you consider the other person, and value him or her enough to stop to think and identify with the his or her circumstance. Love starts with giving attention and time to someone, and that moves our hearts to act for the benefit of the one whom we love. Looking at our example of love, we see Jesus being motivated by compassion. In fact, often before Jesus acted in kindness the Gospel writers would mention Jesus’ compassion as the motive for his benevolence. For example, Jesus was moved with compassion, therefore he taught those who gathered (Mark 6:34), healed the crowds (Matthew 14:14) and fed the multitudes (Matthew 15:32). The pleas of the two blind men (Matthew 20:34), the leper (Mark 1:41) and the demon-possessed boy’s father (Mark 9:22-23) filled Jesus’ heart with compassion before he healed them all. When he saw the mourning mother at Nain (Luke 7:13) and Lazarus’ sisters weeping (John 11:33) his heart was moved with compassion so that he resurrected the dead. As he looked at the crowds, the gospel writers recorded that Jesus was filled with compassion and was moved to pray for them (Luke 13:34), and at another time to time send out his disciples to heal the sick, cast out demons and preach the good news of God’s reign in the surrounding villages and towns (Matthew 9:36). Some of Jesus best-known parables are also about compassion: the parable of the Forgiving Master (Matthew 18:22-35) tells us that the Master forgives debt because he has compassion, and we should do likewise. The parable of the Good Samaritan (Luke 10:30-37) teaches us that love for our neighbor starts with compassion for someone in need, regardless of political or racial preferences. The parable of the Prodigal Son (Luke 15:11-32) teaches us that the Father sees his returning son and has compassion, and forgives and restores him with great joy. Love starts with compassion. Compassion is activated as you stop and look or reflect intently at the person and his or her circumstance, as Jesus taught Simon the judgmental Pharisee who was offended when Jesus allowed the immoral woman to touch him, wash his feet with her tears and pour fragrant perfume on his feet. Looking at the woman, Jesus taught him “Simon, do you SEE this woman…” (Luke 7:44). This is Jesus’ ultimate lesson on compassion: it’s easy to judge “sinners” because of their wrong, to stereotype “lazy beggars” because of their circumstance or be indifferent to the needs of strangers. But Jesus demonstrates here that love starts as we look and see the person, to reflect on this person’s pain and suffering and to see the human being whom God loves enough to send his Son to die for. And that is when God starts to stir his love in our hearts, when we identify with the image of God in this person. The incarnation of Christ is the ultimate demonstration of the compassionate love of God. “And the Word became flesh and dwelt among us…” (John 1:14). God, the righteous Lawgiver and Judge left the holy heavens to walk with mankind and identify with the temptations and suffering of humanity, even experiencing the death and agony of separation with God his Father. 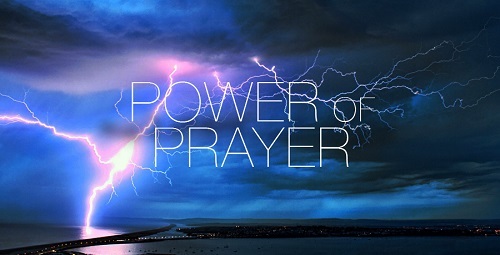 In a sense Jesus answered the prayer of Moses in Psalm 90 “Lord… you are from everlasting… we are like grass that withers… come down Oh Lord, have compassion on your servants!” (vv2, 5, 13). And because Christ came to share in our humanity, we have a High Priest that can “sympathize with us in our weaknesses” so we can be confident of his forgiveness and help. (Hebrews 4:15-16). God took time to identify with us and has compassion with us – therefore he is merciful towards us. His love starts with compassion. 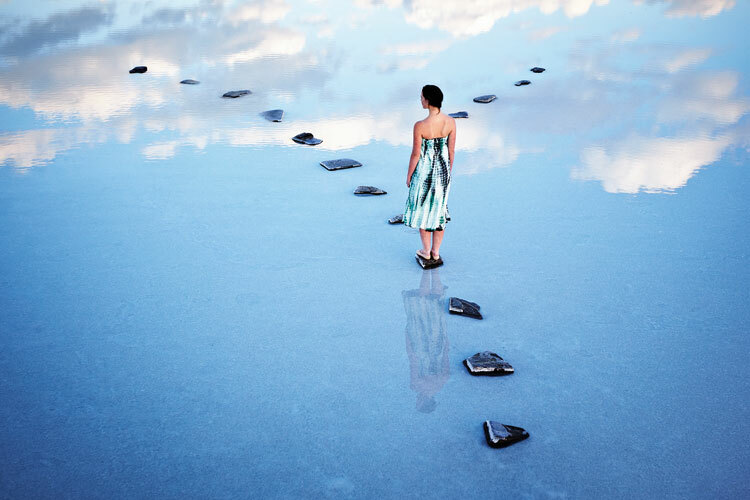 This example of God’s identification with us in our weakness is the model of our love: love starts as you take time to walk in another’s footsteps, feel their pain and suffer with them. Like Christ, love overlooks the wrongs done and first considers the one in need. Like Christ, love values the person before dismissing the sinner. This is not only a model for working with the poor, the addict and the offender. This is the model of love for your conflicting spouse and difficult child, your rude coworker and racist service official. Lover starts with compassion gained through time, attention and reflection until you can identify with this person whom God has made in his image, and who joins suffers with you in this sin-infested, loveless world, and is also in need of God’s desperate need of loving grace – like yourself. Everyone needs compassion. This short animation by Dr Brené Brown on empathy helps a lot to give practical guidelines to grow in compassion. Before love is visible in acts of kindness, it starts in the heart and moves you to not do good deeds from a position of superiority but to do good because you identify with the suffering, the want, the pain of this person you love. 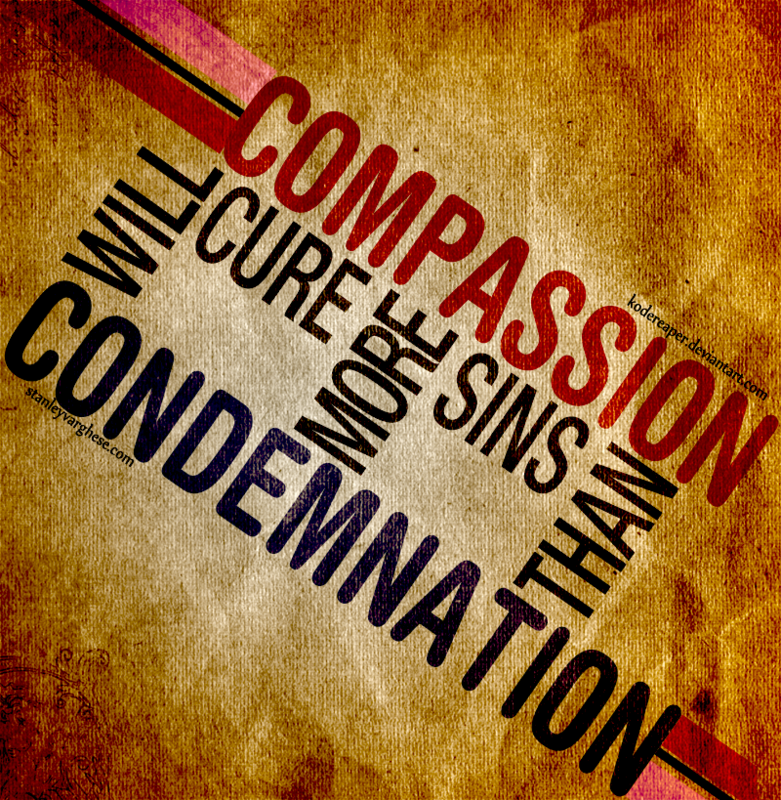 Compassion enables us to embrace even our enemies because we identify with their common humanity. The Perfect Man: Dark, sweet, rich. And if he angers you – you can bit his head off! 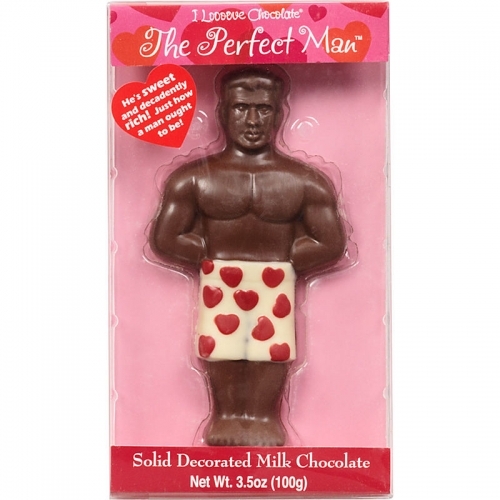 We have all seen greeting cards like this one: The perfect man: sweet, rich, dark and handsome; and if he says anything wrong you can simply bite of his head and unwrap another! Wish relationships were really that simple! The search for the perfect mate is a very personal and emotionally draining one, so I aim to write this blog carefully, lightly and humorous. 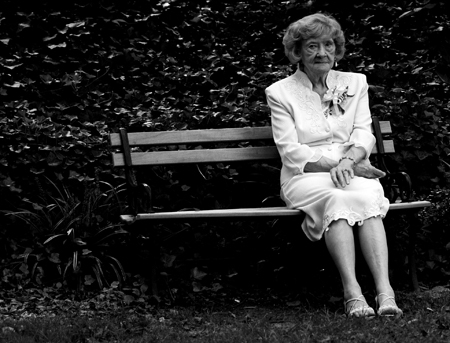 Even as I am writing about “finding your life partner” I think of my friends whom I love dearly, that are suffering in what is described as the epidemic of with loneliness. I have previously written on marriage and our culture and do not wish to repeat everything I have written about, so I recommend you to read on the intent and definition of marriage I unpacked there. I now invite you to laugh with me at popular crazy ideas and sentiments we hold onto in our pursuit of “finding the perfect life partner”. What does the Bible say about this? The whole counsel of the Bible teaches very little about who to marry, except that that person should be a Christian (2 Corinthians 6:14; 1 Corinthians 7:39). The one clear instance in the Bible where God instructs someone to marry a specific person is the prophet Hosea – and it is because God commanded him to marry a prostitute, something immoral and foolish! (This marriage was meant to display prophetic significance of the character of unfaithful Israel, to their own shame). I personally know of one or two individuals to whom God spoke directly about their marriage partners, but this is by no means normative, as we can see from Scripture. The Biblical text says a lot about marriage, but very little about who to marry. The focus of the Scripture is on who you become and how you ought to conduct yourself in marriage – because love and fulfillment in found in how your marry, not who you marry. The second popular trend is what I like to call “consumer-based relational roulette”, where potential life-mates are compared with each other as we do with clothes or cattle or cars, weighing up their apparent strengths and weaknesses, dismissing those who fail to meet our standards. This comparison happens either virtually by viewing an online dating catalogue, Facebook pages or in real life interactions. Consumer-based relational roulette results is either serial dating as the “consumer” tries out the “products” or in passivity where “buyers” wait for the perfect specimen to “procure”. Where does the gamble come in? 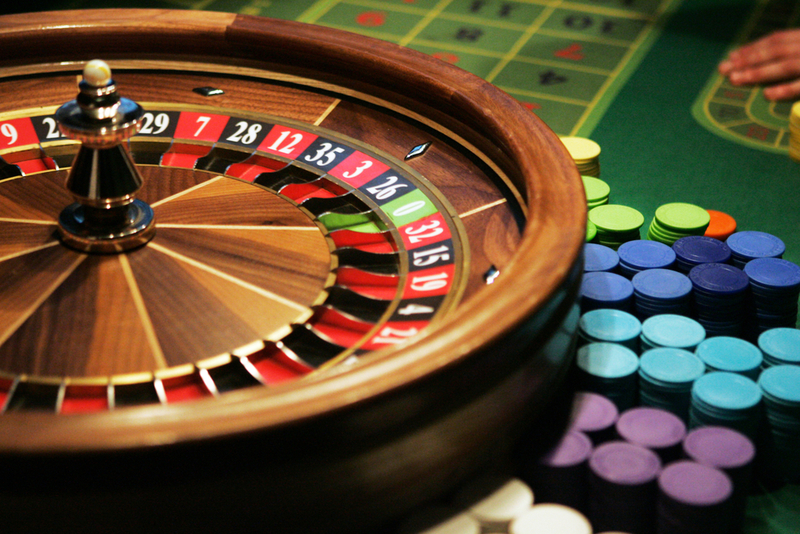 The gamble comes in when one disengage from a promising relationship or dismiss a potentially good life-mate in the hope for a better one, just like gambler would bet all his winnings in hope of gaining more. The relational result is the same as in the previous section: late marriages with agonizing loneliness, and break-up of good relationships (even marriages) in the hope of better ones. What does the Bible say to this myth? The answer is simple: marry a Christian, and be faithful and be content with whom you have. “The Cupid deception” – all you need is love! Cupid shoots his arrows and the victim is love-struck! 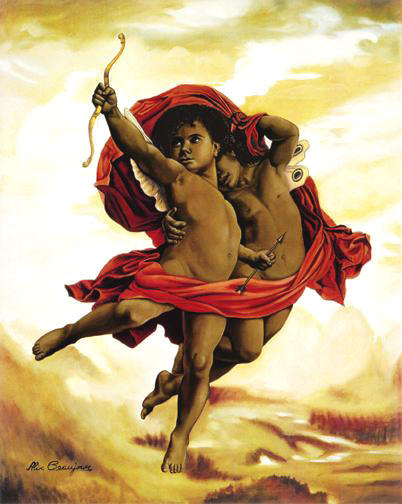 We are well aware of the Roman Cupid myth as he is the popular icon of Valentines Day. The myth of this demi-god tells that he has the power in his bow and arrow to strike his unsuspecting victim with uncontrollable passion for the one he/she lays eyes on: instant infatuation as the victim helplessly “falls in love” and blindly does whatever it takes to be with the object of obsession. This myth is also popularized in contemporary films and drama, novels and poetry, and music. It is this love which quite literally makes people’s worlds go around. 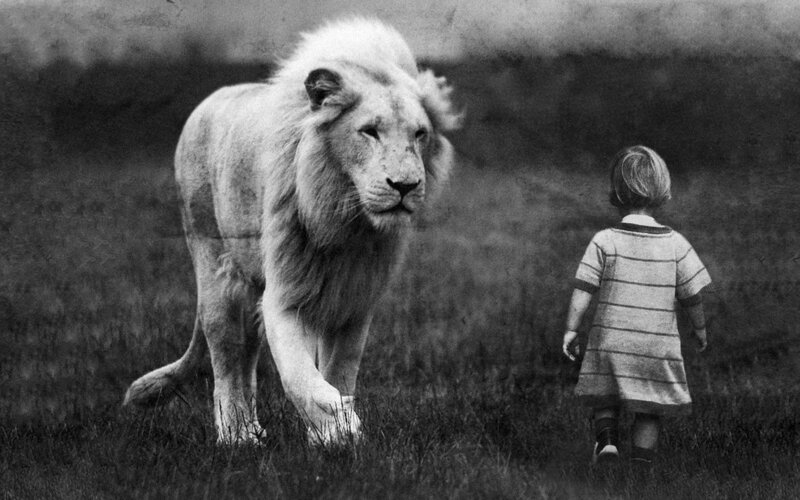 Loving emotions are not wrong, but left unchecked it has the potential to lead us into great trouble, as many of us have experienced in the past. Biblical love leads to loving actions for others, and that always leads to goodness and life. So if Cupid hits you with his arrow and the “poison tip” fills you with this second type of (Biblical) love, there is no harm in that! The last myth to be busted in this post is that of passive waiting: “if we are destined to be together, God / fate will make it happen!” But we know this passivity does not work in any area of life. We don’t say “if God wants me to be a doctor, He will make it happen” and then do nothing. 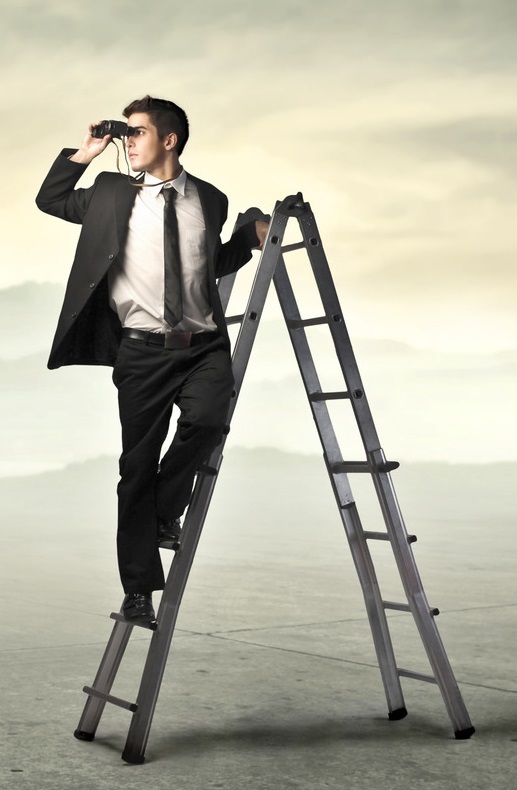 We agree with the plan and then pursue it with hard work an excitement, recognising His grace along the way. The writer of proverbs recorded a proverbs that instruct the young men to “find” a virtuous wife (Proverbs 18:22; 31:10), implying intentional, intelligent effort. I know many young men who spend hours behind computer screens or some odd hobby who desire a life mate, but make no visible effort. The same holds true for young ladies – make yourself known. If you seek you will find, Jesus said. Evaluate your expectations. Are what you want from a life partner, or the meeting of this life partner, fair and Biblical? How much of what you expect or desire is culturally informed and how much is what God intents? Re-evaluate your image of marriage and lovein prayer, study and discussions. Become marriable. Marriage is great when both you and your spouse are loving people, meaning you are patient, kind, gentle, humble, faithful, honest, etc. So grow to “have love” ( 1 Corinthians 13:1) – spend time with friends and family where you deliberately grow in the loving character of Jesus our example. Grow in contentment. In the pursuit of your life mate, learn contentment as Paul did with being single now. Use your flexibility and time well now to noble causes that you cannot do once you have family responsibility. Don’t allow the desire for marital intimacy consume you; learn contentment and find joy in your situation now. But never loose hope – God hears and God cares! [i] From a teaching of Ps Fred May “Love is Not Enough” 2002 in Shofar Christian Church, Stellenbosch. A while ago this question came to me: “If people were to judge my faith based on my actions – what would they say I believe?” It is certainly a question worth considering, because “faith without works is dead” (James 2:26). And this question is even more relevant today since the number one accusation against the contemporary church is that of hypocrisy – that Christians profess one thing but live differently. According to outsiders, our intentions and actions do not correlate. ‘Hypocrite’ means actor, pretender or ‘masked one’. In stark contrast, Jesus said his followers would be known for their love, and he even gave the world the right to judge their authenticity based on this! Before considering the life example of Jesus a few aspects in this incredible text are worth noting. Firstly, Francis Schaeffer called this love “the mark of the Christians” since this love which distinguishes Christians as followers of Jesus is not primarily a feeling, but a relational dynamic which is visible from the outside. Jesus-followers are known by their love because this love is seen in actions which are not normative in the world. Secondly, by saying ‘as I have loved’ Jesus said the disciples should copy his loving behavior – his relationship to them modeled these loving actions. Thirdly, note that Jesus did not say our love to unbelievers characterize us as Christians, but rather love for insiders, for “one another”. This is important, because doing one loving act for a passer-by is easy, by living in constant love with people around you is quite another thing. Lastly, note that Jesus gave it as a command to love, implying a decision to comply, and thus not a love primarily lead by feelings. Thus it is our choice to do loving actions towards fellow Christians which mark us as Jesus-followers, or not. Considering this command of Jesus, how can we follow his example so that his love is made visible in our actions? Or more simply put, what does his love look like? Jesus instructed his disciples to love as he loved them, thus to emulate his loving actions towards them (and this was before his crucifixion). They have walked with him for about three years so they would have had ample reference for what he meant. Looking at the twelve to whom he gave this command, we immediately see the first aspect of this love: it is radically inclusive. 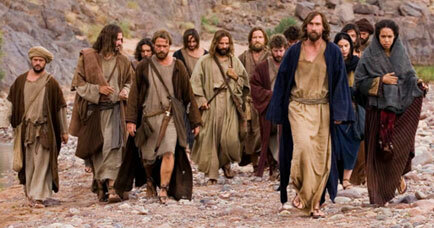 Jesus disciples were diverse in every aspect. Firstly they were culturally and racially diverse: Peter, Andrew, Bartholomew were Galileans while Simon was a Canaanite – people who did not normally associate by choice. Secondly, we know that they were politically on opposite sides: Thaddeus and Simon were Zealots, a Jewish extremists party aiming to liberate Israel from Roman oppression by means of military force. On the opposite political spectrum Matthew was a chief tax collector, a liberalist Jew who lived as the Romans and made a living oppressing his fellow Jews financially in service of the Roman oppressors. There certainly would have been political conflict between these two groups! Thirdly, the Gospels make it clear that there were personality clashes within this group: the brothers James and John were called “sons of thunder” because of their impulsive and aggressive tendencies, while Thomas was the doubtful and more reserved. Peter was an initiator and natural leader while on the other hand Phillip was recorded as pessimistic, perhaps even cynical. John’s gospel reveals that he and Peter did not get along, even indicating some competition between the two. Yet Jesus chose each one of these individuals alike and was patient with them. And by doing so he demonstrated his love by accepting their racial and cultural, political and personality differences, giving the disciples an example to follow. These first apostles, who themselves experienced this radical acceptance from Jesus, put this principle in writing to the first congregations. James wrote to the church in Jerusalem about this love in practice, to treat rich and poor alike and not to tolerate “distinctions among yourselves and become judges with evil thoughts”, labelling it the sin of partiality (James 2:2-9). Paul likewise wrote to the churches in Galatia that they make no distinction among themselves based on ethnicity, social class or gender since all have died to the flesh and have “put on Christ” in baptism (Galatians 3:27-28; cf 1 Corinthians 12:13 and 2 Corinthians 5:16-17). Regarding this new identity, Peter wrote Christians should regard themselves as “a new generation… a holy nation” (1 Peter 2:8-9) – thus one new ethnicity in which they find identification rather than distinction. In practice, Jesus’ love shown among his followers means a radical acceptance and equal treatment of each other based on their acceptance by Christ. Secondly, the disciples who first heard this New Commandment of love knew how Jesus shared his life with them – every day, everything. They lived together from one purse, with one purpose. They knew that before they had a “mission” of preaching and healing, Jesus called them “to be with him” (Mark 3:14) – to share life together. This communal living was modeled and imitated in the early church who “devoted themselves to the apostles’ teaching and the fellowship, to the breaking of bread and the prayers” (Acts 2:42). Simply put, they came together for learning together, sharing together, serving together, eating together and praying together. They met for fellowship and teaching “every day, in the temple and from house to house” (Acts 5:42). They were aptly named “church” (Greek ekklesia) which means “called out ones” – thus people were heard the call of God and gathered together. Church means being together, living together, coming together to meet with God. And that’s where the love is shared and felt. Our contemporary society values privacy and individualism. We strive for self-sufficiency, autonomy and independence. With that mindset we come into the church. However, being part of the Church means being “immersed into one body of Christ” by the Spirit (1 Corinthians 12:13), implying a shared life of interdependence. We must then exchange our self-centeredness for communal life. The words the New Testament writers use to explain this concept is “fellowship” (variations of the Greek words metocos and koinonia roughly meaning “to have in common”), with four primary implications, ala Keathley. Firstly this fellowship is an objective relationship, since together we share in the Gospel (Ephesians 3:6) and thus share in Christ himself (Ephesians 3:9) and are “coheirs with Christ” (Romans 8:17). Secondly this fellowship is companionship, the acts of sharing in Christ together (1 John 1:7) through the Spirit, as we meet together for teaching, communion, worship, prayer or to encourage each other. Thirdly, fellowship refers to partnership of those “who share in a heavenly calling” (Hebrews 3:1) and are called “God’s fellow workers” (1 Corinthians 3:9) – essentially working together. Lastly, fellowship implies stewardship as sharing earthly resources and meeting material needs – a logical overflow from sharing in the life of Christ and his calling (see Romans 12:13; 1 Timothy 6:18; Philippians 4:15). Thus the early church followed Jesus’ example of love through being together and sharing all literally, and instructed new converts to do likewise. Jesus’ example of love with his disciples was one of patience and forgiveness. In the Gospels he nick-names his disciples “You of little faith” (Matthew 6:30; 8:26; 14:31; 16:8) since they struggled to believe the power of God who was with them. Yet Jesus was patient with them and modeled this life of faith until they believed. The disciples were also slow to understand (Mark 4:13; 6:52; 8:17, 21; 9:32) the teaching of Jesus, so that we read the well known phrase “again I say to you…” (Matthew 18:19). Yet Jesus was patient and did not give up on them. Jesus also demonstrated tremendous patience with the disciples’ amidst their constant striving for prominence and “greatness” (eg Luke 22:24). Jesus was patient and tolerant with the weaknesses of doubtful Thomas as well as Judas the thief. He gave stern yet loving correction. But Jesus’ patient example and teachings paid off, so that in the end they believed as he believed, and lived as he lived. When his disciples betrayed him during his arrest and crucifixion he forgave them and continued with their discipleship afterwards. Jesus modeled patient and merciful love. The early church also modelled their communities on this aspect of Jesus’ love. Paul frequently wrote to the socially and ethnically diverse congregations to be patient with one another, and forgive one another “tender-heartedly” in the way Christ did (Ephesians 4:2,32; cf Colossians 3:12-14). This also implies gentle restoration of someone who falls into sinful practice, and to “bear [the] burdens” of someone who is weak in any sense (Galatians 6:1-2; cf 2 Corinthians 2:6-7). Jesus’ example of love was one of patiently bearing with the weaknesses and failures of his disciples, as well as relentless forgiveness of their betrayal and offences. Another practical way in which Jesus’ love was to be perpetuated in his disciples was the intimate, affectionate way he shared himself with them. This sincere, simple love for his disciples which included intimate friendship, such as John using Jesus as a pillow for his head while the group was relaxing (see John 13:25) and the affectionate way in which he spoke to them and prayed for them (see especially John 14-17). He also allowed others to come close and touch him as expressions of love and admiration (eg Luke 7:37-38; John 12:2-6). Consequently the apostles gave instructions that this example of Jesus’ affection be ingrained in the culture of the early congregations. For example Peter instructed “Greet one another with the kiss of love” (1 Peter 5:14) and Paul wrote “Let love be genuine… Love one another with brotherly affection” (Romans 12:9-10). Paul also appealed that the church’ verbal culture should always be gracious and uplifting (Ephesians 4:29; Colossians 4:16). Thus Jesus’ love should also be seen through demonstration of appropriate affection and a culture of verbal affirmation and endearment among his followers. Lastly, the way in which Jesus modeled love for his disciples on the evening when he gave them the New Command was humble, selfless servitude. After washing their feet, taking the place of the lowest servant, he said “I have given you an example, that you should do as I have done to you” (John 13: 15). Jesus taught that love meant esteeming the worth and needs of others higher, meeting those needs in service; love manifests in selfless sacrifice (John 15:13). This is the message of the cross is ultimately this selfless love of Christ. Years later Paul appealed to the church in Philippi that love should manifest in this humble, selfless attitude in serving one another, regarding the needs of the other higher than self as Jesus “who made himself nothing, taking the form of a bondservant …and humbled himself to the point of death” (Philippians 2:7-8; cf 2:3-4). Love in practice results in selfless service, fulfilling the needs of others – even at cost to self. These five ways in which love was modeled in the life of Jesus formed the basis of the relational dynamic of the early church; they were indeed known by their love. 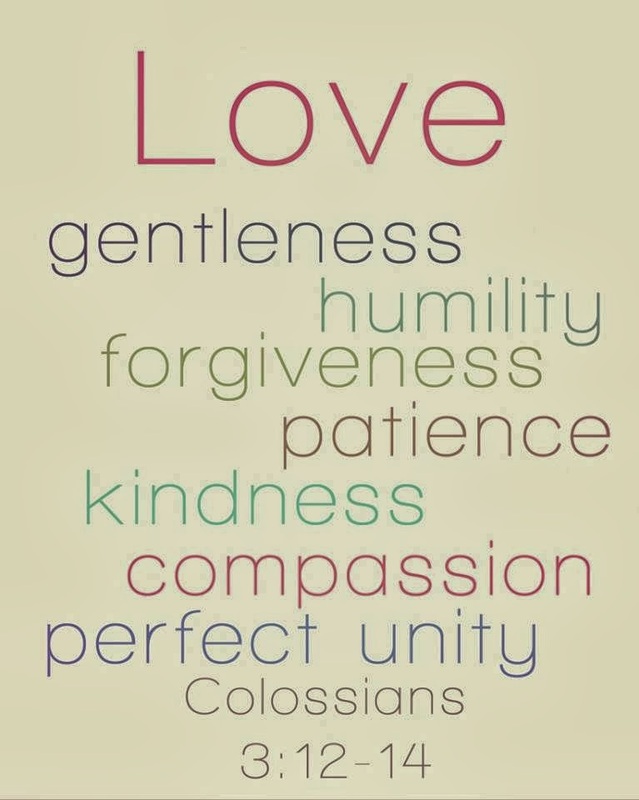 And this should be the key aspects which distinguish Christ-followers today: a love that is visible and practical. How do we respond to this command to “love one-another” as Christ loved his disciples? Firstly, we respond in radical acceptance and inclusion of everyone who wishes to follow Christ – treating everyone with the same dignity and affection, regardless of ethnic or cultural background, political ideology or personality. Secondly we respond by sharing our life with the congregation: meeting together in fellowship, worship and prayer as well as sharing readily from what we have with one another. And this is fundamental to our identity as Christians. Thirdly, love demands we support and identify with Christ-followers who differ from us, disagree with us, or disappoint us. Even when they hurt us. This requires patience (also known as longsuffering or forbearance) and forgiveness (or mercy) as Jesus modeled. Fourthly, love in practice is affectionate in appropriate physical demonstration and verbal affirmation – our conversations and interaction should be loving and encouraging. Lastly, and most importantly, the love Jesus modeled for us is selfless, humble servitude. Our culture should be one of regarding the other higher, and deeming the needs of the other more important. This practice of sharing life together in loving acceptance, affection, patience and forgiveness and selfless service is a visible witness of Christ among us. This is the love that Jesus says shows your faith. This is the love that turns the world towards Christ. Kinnaman D., Lyons G., unChristian (Grand Rapids: BakerBooks, 2007), p. 21-23. The evening of Jesus’ arrest He gave instruction to the disciples to arm themselves, knowing things could become violent later. The disciples answered “Look, Lord, here are two” (Luke 22:38) – probably Thaddeus and Simon’s swords. It appears as though these two Zealots never let go of their political ideals of restoring the Kingdom of Israel with force, and Jesus was patient with them. Some examples of how and why the early church came together (“had fellowship”): They came together as whole congregations (Acts 2:42; Heb 10:25), smaller groups (2Tim. 2:2), or one-on-one (1Thes 5:11), for sharing truth together (Rom 1:11-12; 2Tim 2:2), communion (1Cor 10:16), singing (Eph 5:19; Col 3:16), prayer (1Cor 14:16-17), teaching (Acts 20:20; 2Tim 2:2), and ministering to one another (Rom 12:15; Heb 10:33). At times this text is misinterpreted to make a sacrament or ministry of foot-washing. Yet Jesus did not say “do what I have done” meaning to imitate the act of foot-washing, but rather “do as I have done”, implying to copy the way in which he served them. The disciples were instructed to imitate Jesus’ humble, selfless service – not repeat the act itself.